and some wonderful features were added. For the year, there were 351 posts. The link between the blog and Paper.li helped get out the word about blog posts. Networked Blogs helped by posting automatically to Facebook. if you’re one of the guests. include a book cover, blurb, buy links, and social media contacts for the author. make sales. You’ll find full instructions inside each document. links, and author social media. It’s also used as fill ins for unscheduled days. a new form for each book, and rename the form for the book. info. Only two (2) are available per month. How will your hero measure up under the stresses in this interview? Is your hero an alpha male? You might enjoy seeing how he reacts to these. focuses on the female aspect. How well will your heroine handle herself? the Cover Love interview so you know what other material to send. info, pick two dates, and I’ll do my best to get you one of them. winner for December, and for 2015 will be announced Jan 1, 2016.
you, and I hope to see you back soon. Happy New Year 2016! Wishing you a year of great books. I'm looking forward to coming back in 2016. Happy New year! Shared and tweeted. Thanks for all your support, Kayelle. I wish you all the best in 2016! Kayelle – it's always a pleasure to visit with you here. Thanks for your support of romance and of all authors. All the best to you and your readers for a happy, healthy 2016! Happy New Year Kayelle! You and Nicole do a fabulous job. Love the blog. Thank you for all the support you give to authors and readers. All the best in 2016! 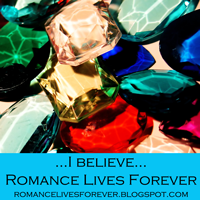 Thanks for all you do for romance & romance authors, Kayelle. I'm looking forward to visiting at RLF in 2016. Happy New Year! These look like some really fun posts — can't wait to see them. :) I hope everyone has a wonderful book-filled 2016! Happy New Year! 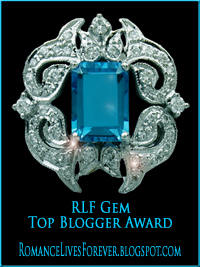 Thank you for all of the opportunities RLF offers, and all the great authors I've been introduced to here! What fun ideas you have for helping other authors promote. Thank you for all you do and Happy New Year!!! Happy New Year. This is a great blog and I look forward to being part of it again! Better late to the party than never! Always loved your site. I'll be in touch soon.